Did you know tea is the second most consumed beverage in the world? There are over 1,000 flavors. Hot Tea has influenced different countries’ cuisine for hundreds of years. Tea even plays a part in many countries culture and their representation on what is the best way to serve tea. Whether you follow the brewing traditions of the English or Chinese Customs, or you only microwave your tea, National Hot Tea Month is best celebrated with a cup. Thomas Sullivan successfully marketed tea bags, after he sent his tea in silk bags to clients and they mistakenly steeped it in them. 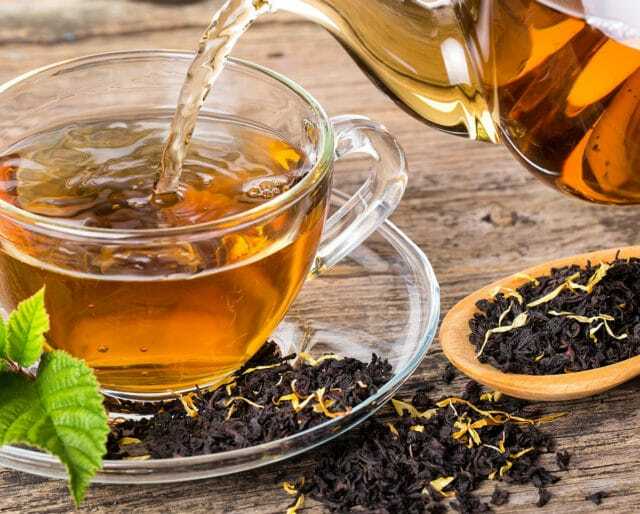 The British parliament reduced import taxes on tea in an effort to end smuggling practices over the majority of tea imports. It’s believed Chinese Emperor Shen Nung discovered hot brewed tea when tea leaves accidentally fell into his pot of drinking water. Sharing a pot of tea with friends is a social event. Humans are social beings, and drinking tea is a great way for humans to connect. Nothing shows friendship more than getting your pals together over a hot kettle and chatting. As we grow older our preferences change, and your tea choice should too! Search for new flavors online, or find stores in your community that have a wide variety. Drinking a cup of brewed tea is a comfort all its own. Maybe you need a moment to recollect during the day, or you need a cup in the evening to put your thoughts to rest. The power of tea is that strong! Depending on your mood you might opt for a lighter tea like lavender, or if the day is hot, you may want to end it with some Sweet Texas Iced Tea. Tea flavors differ based on the region of its origin. There are White Teas (which are the least processed), and Black teas that can be mixed with spices. Green Tea is more popular because it has less caffeine than most drinks. Herbal teas can have a delicate flavor because they are blended from dried fruits, herbs and flowers. Brewed Tea was used centuries ago to cure people’s ailments, and it’s still used for the same reason. Tea is known to fight off fevers, high blood pressure, and lower stress levels. Whether you are fighting a nasty cold, or are sick with nausea, nothing beats a lemon ginger tea to soothe you. Every once in while we just need comfort food. Sometimes it’s the meals our parents use to make us, but nothing beats a cup of warmth, radiating from our hands after a long day in the cold.